When your best friend is the peanut butter to your jelly, there’s only one option – you must dress in a couple costume for Halloween. Start designing your costumes together with the DIY costume inspiration here. 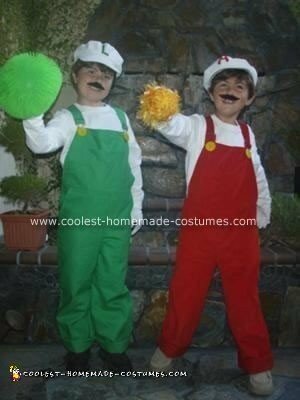 Mario and Luigi costumes are a great choice because they are almost completely identical except for the red and green colors. So everyone will you came together. Just because they are men, doesn’t limit these DIY costumes. Indeed, you will see many women pairs rocking these homemade costumes. You don’t even need to wear the classic overalls. Take liberties with these DIY costumes in order to wear the most comfortable or feminine costume. 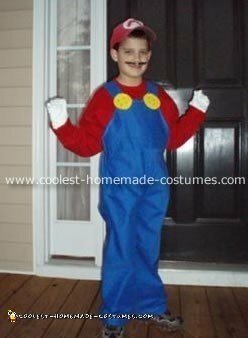 So, take a look at the awesome collection below of Mario and Luigi costumes. Get inspired to craft your best homemade costume. Then share it with us here to encourage others on their DIY costume journey!